Research Interests: Child psychology: intimate partner violence; violent and aggressive behavior; psychotherapy with children and families. 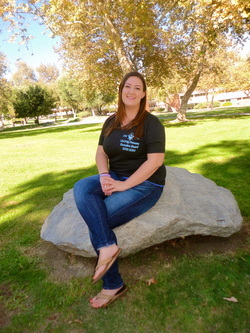 Hello, my name is Elizabeth Shea, I am a fourth-year Psychology major with a minor in Quantitative Research and I am the president of Psi Chi Cal Poly Pomona Chapter! I love research and want to pursue a PhD in Social Psychology looking at stereotype, prejudice and stigmatized groups. I love reading Science Fiction and playing RPGs in any format. One fun fact about me is my Myers Brigg personality type is ENFJ, so I love meeting and socializing with new people! Hey there! My name is Hannah Sprague and I am a Psychology major. After receiving my undergraduate degree, I would like to pursue a PhD program in Clinical Psychology with a possible emphasis in child development. I love doing anything outdoors and going to concerts and museums. I'm also passionate about video games and old classic films. Bring on Zelda and Charlie Chaplin! Born and raised in the mid-west; where time moves slowly and the people seem more genuine, I can appreciate the hustle and bustle of L.A. while admiring the Hollywood stars. I moved to L.A. to get a better education, found Pasadena Community Collage then transferred to Cal Poly Pomona. Though I can seem quiet or intimidating, I enjoy listening, talking to and understanding people. Aquariums, playing games and tinkering are some of the hobbies I enjoy. 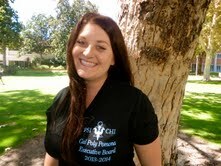 My name is Alison, I'm the secretary for Psi Chi. I'm a senior interested in clinical psychology. In my free time, I knit socks and read books. Cats are my spirit animal. I am a fourth year criminal psychology major. I want to work with delinquent youth, preferably in the detention centers. I tutor and teach a cooking class at an elementary school. Some things I enjoy when I am not working or at school are reading, hiking, and taking random trips. 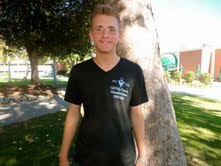 Benjamin Murdock is a third year Psychology major with a minor in Theatre. 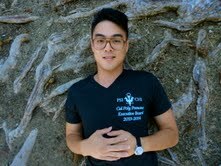 He is a member of Psi Chi, currently the Conference Representative. 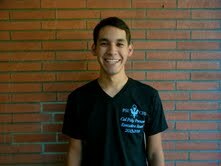 This year, he is a Peer Mentor for the Psychology and Sociology Department which is dedicated to helping other students, within the department, through their academic career and their time in Cal Poly Pomona. He is also the treasurer for the Student Interest Council (SIC), which oversees fifty different clubs on campus, and is a member within Cal Poly Cru. Benjamin enjoys playing the piano, acting in theatrical performances, drawing, playing video games, long walks on the beach, and just being with friends. Fun Fact: He is a dog lover and has a golden retriever named Madison. 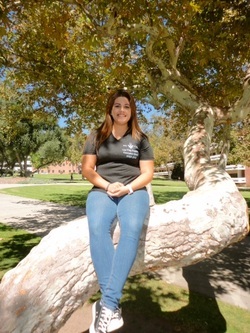 Hello,my name is Josselyn Fuentes and am starting my third year here.I plan on majoring in Psychology with a minor in Spanish. I am still unsure, but I have narrowed down my options into being a family psychologist or work with small children. This year, 2013-2014 I will hold the Historian position in which I will capture many of the moments we spend together:) I have always worked tutoring children from k-8. On my free time, I like to listen to music and just take the time to relax or give back to the community. 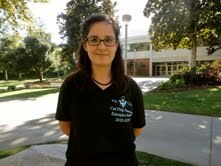 I am fourth year Psychology major with a minor in Philosophy. 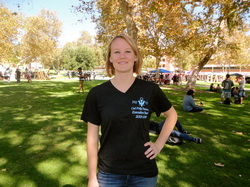 I am interested in clinical, counseling, and school psychology. I conduct research with Dr. Mio. Our current project is still in its infant stages. I plan to attend graduate school and obtain a Ph.D. I want to work with children, thus my main goal is to help others and to positively impact the lives of youth. I believe that my culture is an important portion of my life. I am Teo Chow/Chi Chow, a culture not many are informed about. If you do or don't know much about it feel free to ask and I'd love to share. In my free time I enjoy participating in various extracurricular activities such as martial arts (specifically Shaolin Kung-Fu) and volunteering. 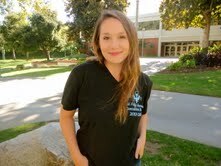 I am currently working on campus at ARCHES as a peer adviser and in the Communication Department. I’m a third year psychology major. I don’t really know where I’m headed, but I plan on going to graduate school to either get a M.A. or a PhD. Wherever I go with my psychology degree, I want to help people in need. My interests are music, staying active, and photography. 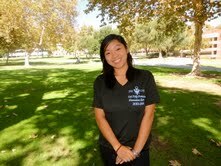 I am going into my last year here at CPP. I am a psychology major with a minor in women studies. My goal is to earn a PhD. in clinical psychology so I can preform couples/relationship counseling. I would also like to teach psychology at some point. I love anything outdoors! Hiking, kayaking, horseback riding, climbing, you name it I probably love it. 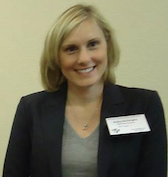 My name is Sara Napolitano and I am currently a 5th year with the goal to obtain my PhD in industrial organization and to work as a consultant for corporations seeking organizational change. My hobbies are attending and volunteering at music festivals, playing tennis, reading, recreational activities, sports and yoga.